Urban Blueprint is a seamless way to build a house into a home you love. From drafting to permits, to design & decor, Urban Blueprint makes every step of your design & build project concise and simple. Together, we can tailor your home to reflect your lifestyle. FOHR DESIGN STUDIO is a multi-disciplinary design firm offering full scope interior design service. Our team of skilled designers each possess unique and extensive design backgrounds, and coordinate to produce a cohesive body of work spanning multiple sectors of design. fohr strives to maintain an open dialogue with our clients in order to efficiently and accurately translate their specific needs into three-dimensional space. We work with a range of aesthetics in order to encourage innovative solutions for each project undertaken. Our goal is to deliver beautiful and functional spaces through a client-designer relationship based on integrity and collaboration. 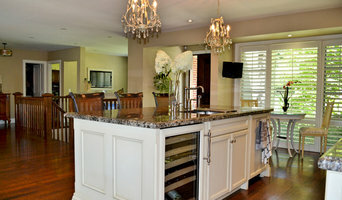 Joey Vogel Interior Design is a full service interior design firm located in Toronto, Ontario. 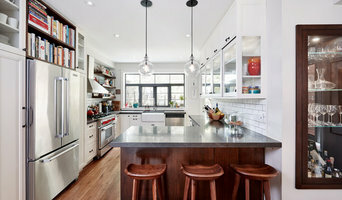 The firm specializes in running renovations, re-designs, kitchens, bathrooms and cottages. The firm is led by Joey Vogel. With a background in high-end residential design and her natural creative abilities, she has successfully produced interiors that have all the characteristics of a high-end design but on the realistic budgets of her clients. With an education in fine arts and history from the University of Western Ontario, Joey has since obtained two different design diplomas as well as her bachelor’s degree in interior design from The Academy of Design. Joey’s style is approachable, realistic and beyond creative. Her design philosophy aims to change the way our generation thinks about design. She believes that design needs to be accessible to everyone and prides herself on her ability to stick to any budget. In 2012 she began writing for her own design blog, The Future of Vintage. Her extremely frank narrative combined with her creative (and free!) design advice has made her blog popular around the world. Through its growing social media following, The Future of Vintage took off, expanding in 2013 to product development. 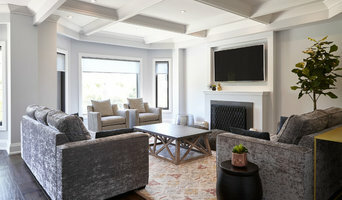 Joey Vogel Interior Design bridges the gap between high-end design and reality. The full service firm can be seen on Houzz as well as Homesteads. Joey can be seen in HGTV’s The Real Designing Women, which aired in June 2013. She can also be seen as a regular design guest on Rogers' Downright Domestic. She has also been active behind the scenes on shows such as The Marilyn Denis Show, ET Canada and Steven and Chris. Design is not just her profession; it’s her life passion. Her exuding creativity has brought her great success and continues to bring her brand and her style to the forefront of the design world. 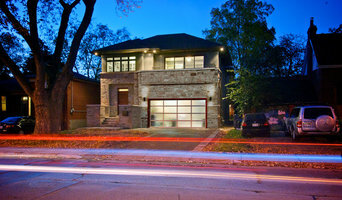 Kevin Fitzsimons is the owner and principal of Fitzsimons Design Build based in Toronto with International clients in some of the most exclusive neighborhoods from both Canada and the US. Since graduating from Humber College for Interior Design, Kevin owned and operated Fitzsimons Interiors Inc for over 20 years. In 1997 Kevin founded Power Publishing, writing his first book called yoursource®. He launched yoursource initially as an interior design book for consumers in Canada teaching them about great design and how to find the resources to create such design. Two years later Kevin created yoursource the magazine with the same integrity and design principals. yoursource® magazine is now distributed world wide with it's primary distribution in Canada and the US. yoursource has grown to become of the most respected design magazines in Canada, the US and Europe. Fitzsimons Design Build was founded in 2006, combining the interior design talents of 20 years experience, international affiliates in the architectural and design field, creativity from all aspects of design and an unprecedented resources available globally for his clients and his readership. Kevin Fitzsimons, his design firm and magazine have won numerous awards for such creativity. Kevin understands the world of architecture, interior design and publishing. His designs are as individual as his varied client list. From corporate executive, home-owners to Princesses, Kevin designs for each client according to their needs and desires. Kevin is not a cookie cutter designer as so many "popular" designers are in today's market. He believes in original ideas and thought. He will customize the design process to create environments that his clients call home. Kevin has also taught, designed for film and television, as well as acting as a professional representative for both public and professional design associations. Design-build firms take on the responsibilities of architects, contractors and construction companies, all under one roof. These full-service firms focus on a streamlined design-build process — from the initial design to the estimating phase to physical construction — in the hope of creating an efficient experience for both the client and the company. Because the entire project is happening within one company, Brockton Village design-build firms are able to overlap the design and construction phases of the project, which often speeds up the project significantly. In addition, these firms work to minimize risks for the project owner through single-point responsibility contracts. However, depending on the firm, you may still want to contact an interior designer or architect to help create the exact look you want. Here are some related professionals and vendors to complement the work of design-build firms: Interior Designers & Decorators, Landscape Architects & Landscape Designers, Architects & Building Designers, Photographers. Before deciding on a residential design-and-build company in Brockton Village, ON, think about what you want from your new home. Do you want a large kitchen for entertaining? Do you need several bedrooms for children and guests? Do you want a finished basement for extra space or storage? Look for Brockton Village design-builders that specialize in the areas you're looking for. Budget is obviously a determining factor in the outcome of your project. To make sure you stay within your means, consider making a must-have list and a wish list. Gauge where the estimates are falling to determine which design-build contract can realistically strike the balance between the two. Find a Brockton Village design-build company on Houzz. Narrow your search in the Professionals section of the website to design-build firms in Brockton Village, ON. You may also look through Brockton Village, ON photos to find a pool you like, then contact the design-build firm that created it.